For 14 weeks now; Dan Smith has remained in the drivers seat of the GPIs Top 300 tournament poker players in the world. This week, the Top 10 undergoes no change. Behind Dan Smith are Scott Seiver, then Jason Mercier, Davidi Kitai, Olivier Busquet, Byron Kaverman, Daniel Negreanu, Martin Jacobson, Ole Schemion and Ami Barer, from 2nd to 10th place. As for the Player Of the Year race, Daniel Colman secures on top for 4 weeks now. Like the GPIs, the POY Top 10 listing has not changed this week with Ami Barer in second place, followed by Davidi Kitai, Dan Smith, Mustapha Kanit, Jason Mercier, Scott Seiver, Anatoly Filatov, Ole Schemion and Jacob Schindler. As usual, many are those who have made an impressive comeback onto the rankings while others have fallen down. Ole Schemion has just gained valuable points following his second place finish in the Master Classic of Poker-High Roller event held this week in the poker room of Holland Casino, Amsterdam. 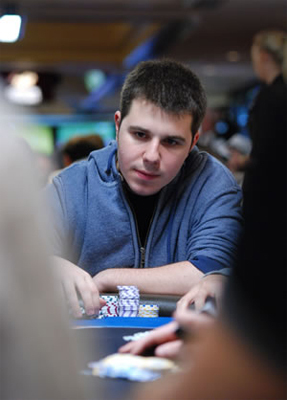 Among the new entrants to the GPI Top 300 include Ben Warrington, Darryll Fish, Ben Palmer, Shaun Suller, Seth Berger, John Dibella, Ankush Mandavia and Ryan Olisar. Ben Warrington is the biggest mover of the week. In fact, Warrington has jumped over 149 spots thanks to his second-place finish in the World Poker Tour United Kingdom Main Event held last week at Dusk Till Dawn, Nottingham. Those who find themselves plummeted this week include Athanasios Polychronopoulos (-45), Viet Vo Van (-44), Jesse Yaginuma (-40), Todd Terry (-38) and Roger Hairston (-37).